The Boiler Pressure Gauge indicated the steam pressure within the boiler drum. The gauge was located 15 feet above the operating floor and clearly visible from the firing aisle. Manufacturer: The JAS Morgan Brass Manufacturing Company Ltd. Note: The gauge had a light in the back to make it easy to read in the dark boiler room. 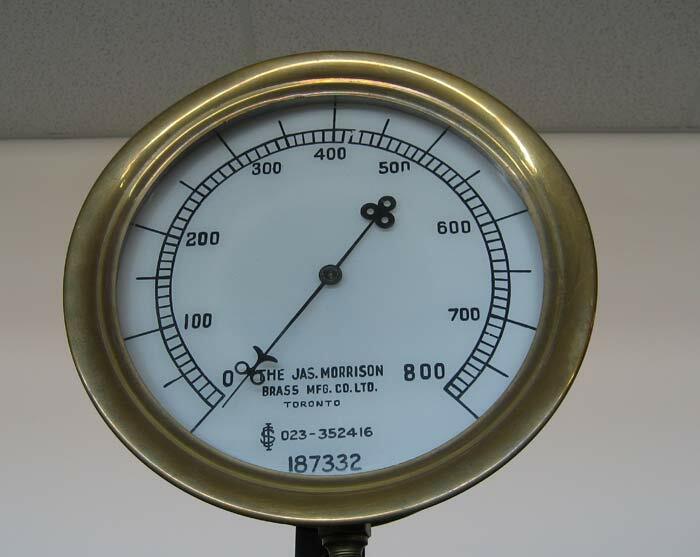 It was normal for the gauge to have a brass trim up until World War II.